Paracelsus (1493-1541), Swiss alchemist and physician. 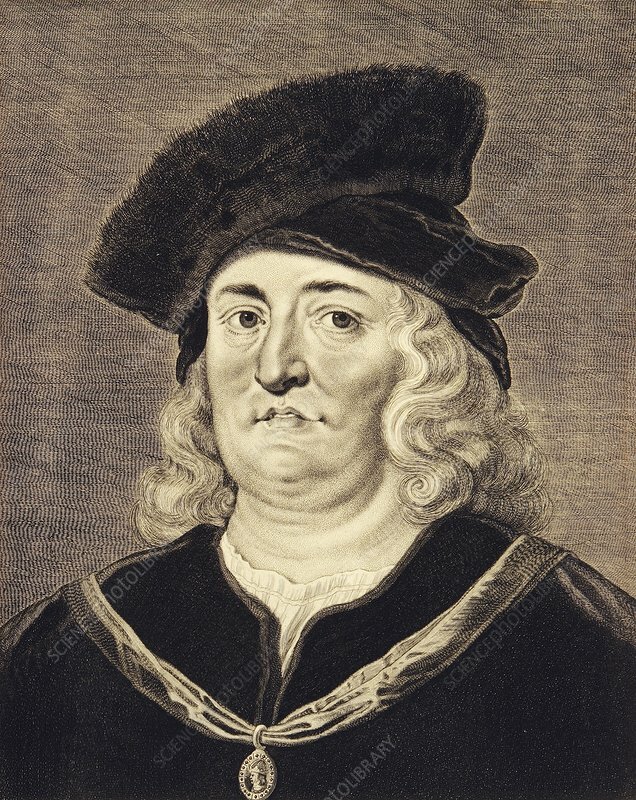 Originally Theophrastus Bombastus von Hohenheim, he renamed himself Paracelsus (better than the Roman physician Celsus). Paracelsus travelled widely, absorbing the medical knowledge of many cultures. He advocated that physicians should not interfere with natural healing processes, and that pharmacists should be careful to control doses of drugs. He also tried to find a magical medicine or elixir of life. This engraving, by 17th-century Flemish artist Pieter van Sompel, is based on a work by Pieter Soutman. The original Latin title was 'Effigies Paracelsi Medici Celeberrimi'.